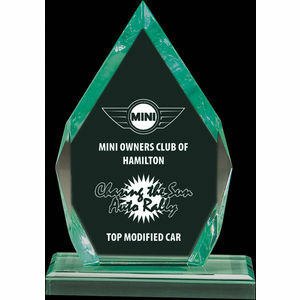 A clear, rectangular plaque placed vertically on a clear, rectangular 1/2" base. See order info for item sizes and imprint areas. 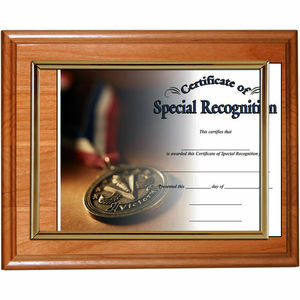 A glass plaque attached to a wooden back that can be vertical or horizontal. See order info for item sizes and imprint areas.